Speaking in London at the Crawford-Khan presser, Arum stated Top Rank’s intentions for the pound-for-pound star. 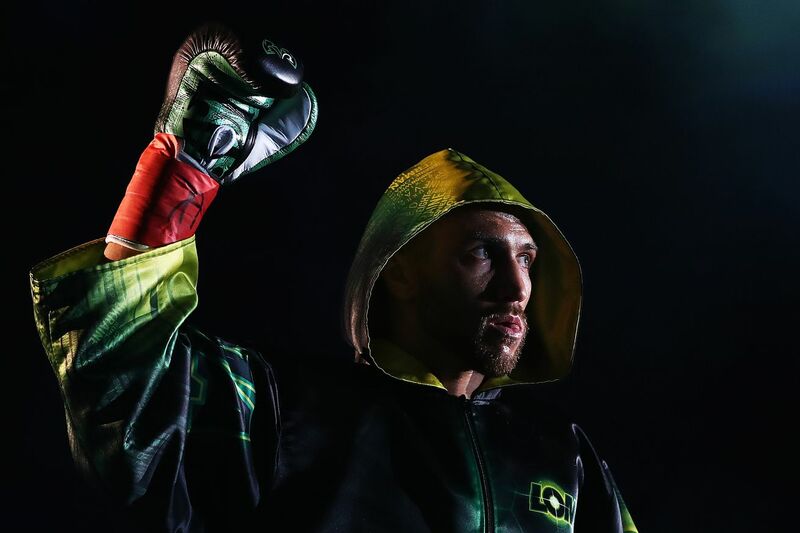 Top Rank’s Bob Arum has outlined Vasiliy Lomachenko’s route into the new year. With April 12 the expected date for the return of Hi-Tech, a Los Angeles venue will host a lightweight unification bout between Vasiliy and the winner of Richard Commey vs Isa Chaniev who meet on February 2 for the vacant IBF strap. Speaking to TalkSport at the Crawford-Khan presser on Tuesday, Arum was brief in his dissection of the year that lies ahead for his pound-for-pound star. After Mikey Garcia decided to make the leap up in weight to face Errol Spence on March 16, his 135-pound title was subsequently binned as he skipped his mandatory, Richard Commey. Despite receiving his title shot in a much easier contest, Commey stated his disappointment of not getting the Garcia fight to British Boxing News. Commey isn’t short of confidence; despite us still being over a fortnight away from his title shot, the Ghanaian is already looking forward to a potential defence. In steps Lomachenko. Passing varying tests against the likes of Guillermo Rigondeaux, Jorge Linares and Jose Pedraza in the past year, a unification fight against the Commey-Chaniev winner will be seen as a light touch; Bob Arum is already looking past this bout in assumption that Loma will unify in style, setting him up for a trip to the UK this summer to face WBA mandatory — and former world champion — Anthony Crolla. Accompanying his friend and fellow world champion, Oleksandr Usyk, to his victory over Tony Bellew late last year, Lomachenko has also been exposed to Manchester – the home of Million Dollar Crolla. Crolla is a game competitor, heavily reliant on grit, heart, and body punching. His WBA world title win and defence against Darleys Perez and Ismael Barroso, respectively, raised his profile in the UK to unexpected heights between 2015-2016; he came crashing back down to earth with back-to-back defeats against Jorge Linares. At 32, with six defeats on his record, it’s widely believed that Crolla is in the twilight of his career. Crolla has a Hatton-esque backing of Manchester, with a stadium fight against Lomachenko this summer not a million miles away. Old Trafford would be the preferred location, with the Manchester Arena still holding a healthy 21,000. If Lomachenko passes these two tests in 2019, the demand for the Garcia fight will reach boiling point. We all know the political issues in making this fight a reality, however, a year in boxing is a long time.